The information presented on this page was originally released on May 30, 2014. It may not be outdated, but please search our site for more current information. If you plan to quote or reference this information in a publication, please check with the Extension specialist or author before proceeding. 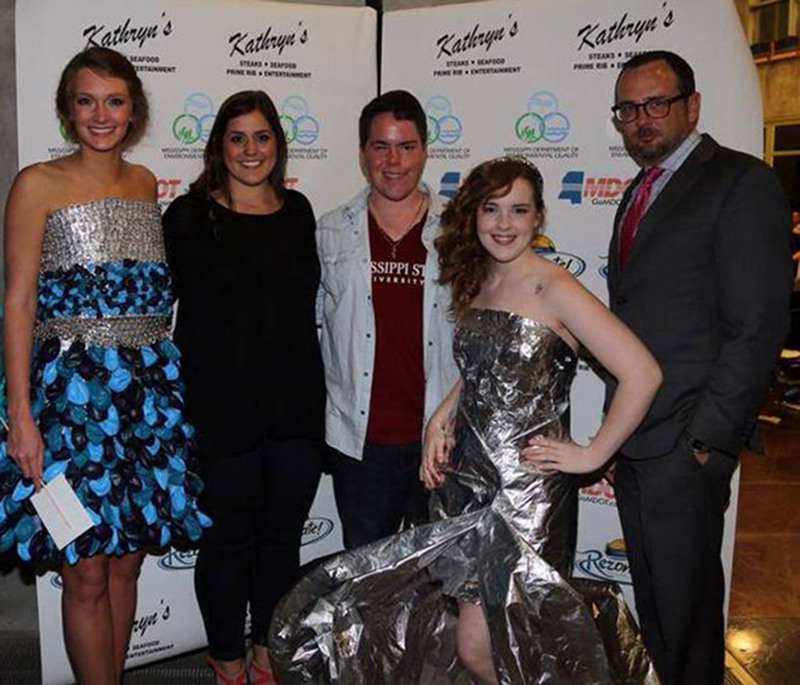 RIDGELAND -- Two Mississippi State University apparel, textiles, and merchandising students recently took home honors from the 2014 Project Rezway fashion show in Ridgeland. Laura Richardson, a sophomore from Madison, won best in show and first place in the high fashion category. Jesse Newton, a sophomore from Eupora, won first place in evening couture. The annual fashion show focuses on the use of recycled materials. Richardson and Newton based their designs on materials donated by their sponsor for the event, Southwire Company. Charles Freeman, assistant professor in the School of Human Sciences, said Project Rezway can be particularly challenging as recycled materials are used to create the clothes. Project Rezway is a statewide competition hosted by Keep the Rez Beautiful, a nonprofit organization dedicated to litter cleanup, litter prevention, and the beautification of the Ross Barnett Reservoir. The 2014 event was held at the Mississippi Craft Center. For more information, visit http://www.keeptherezbeautiful.wordpress.com.